Medical doctor who was also a prominent anarchist and campaigner for women's access to contraception. 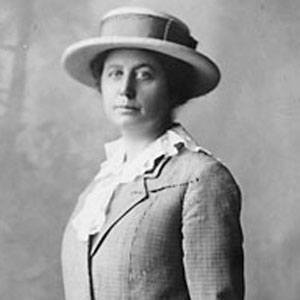 She was one of the first women to attend medical school, and won praise from the government for organizing a medical relief mission to San Francisco after the 1906 earthquake. Her outspoken nature frequently got her in trouble. Her criticisms during WWI led to a sedition charge and a one-year prison sentence at San Quentin. Although never married, she lived in what was called a Boston marriage with her companion Bess Holcomb. She was a supporter and admirer of women's rights activist Margaret Sanger.